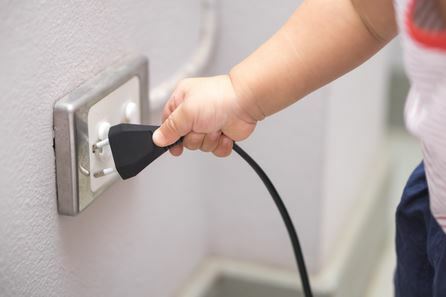 If you have kids in the home, whether they’re always there because they’re yours or they’re just visiting, it’s a good idea to go over some electrical safety basics with them. For instance, tell kids not to plug too many things into one outlet or overload an extension cord. 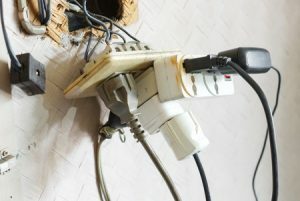 As much as it seems like “no big deal” to do so, the truth is that having too many things plugged into one or two outlets can end up overwhelming the circuit. At worst a fire could result, and nobody wants that to happen. Speaking of outlets, with kids around it makes sense to have parents or the adults-in-charge put safety caps on all unused electrical outlets. Not only does this help save energy by stopping cold drafts, but it also prevents babies and toddlers and others from sticking their fingers into the outlet area where they could get a bad shock or worse. Teach kids not to yank cords from the wall. Instead, teach them to literally go up to the outlet and pull the cord out from it right there. If and when a cord is pulled from anywhere besides its head, damage can be done to the plug, the outlet and/or the appliance. Another thing: cords need to be kept out of the way so people don’t trip over them. Furthermore, if a cord can be placed in such a way that a pet can’t easily get to it, that’s great– too many dogs and cats have chewed cords and gotten shocked– not good. With little kids around, too, it’s best to find ways to keep them away from cords whenever possible– they’re not toys to be played with. Kids also need to be taught that water and electricity don’t mix. So, for instance, they have to be extra careful in the bathroom when using things like a hair dryer near the sink, toilet or bathtub. Finally, with regards to electricity outdoors, kids should know not to play on or near electrical boxes/substations. They need to stay away from power lines. And if they fly a kite, which kids like to do, make sure they’re not flying the kite anywhere near power lines. If you need help repairing the electrical lines in your home, contact the experts at Always on Electric, Inc. today. 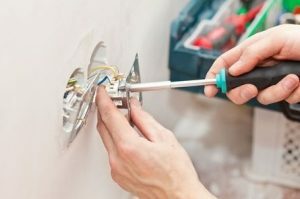 What are some tips for selecting the right commercial electrician to work on/at your workplace, business, warehouse or store? 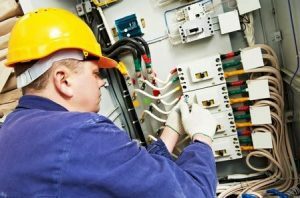 First and foremost, you want to choose an electrician who is fully trained and knowledgeable about commercial electrical work. You want an expert, not a newbie or novice. Don’t be afraid to ask to see their license and make sure it’s current. Moreover, ask around– see what others have said about their work before you hire them. Also, make sure the electrician you choose to work with is bonded and insured. Next, commercial electrical work requires practical and flexible workers who adapt well to different situations and people. For instance, an electrician in a commercial setting may have to interact with construction workers as well as office employees. How are their communication skills? Do they clam up and not say a word, speaking only when spoken to? Or do they seem to be able to talk with lots of different people about different topics in a friendly manner? Be a judge of character upon first interacting with them on the phone or in person: do they seem “on the ball?” Sometimes the answer to that exact question can tell you right then and there whether or not you want to hire them. If you have the time and inclination, do an Internet search on nearby electricians to see their online reviews. Of course, you can check with the Better Business Bureau and ask for references, too, but these days it seems like most people form their opinions based on online reviews. That said, if an electrician/company gets “1 star” more often than “4 stars” (or more) then they’re best avoided. 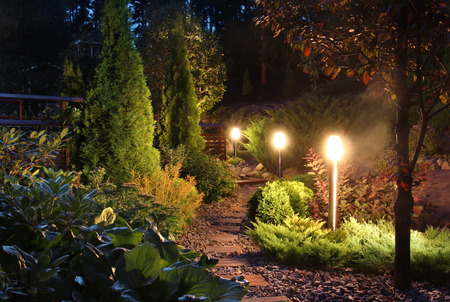 Always On Electric has done a wide range of electrical jobs at places in Aspen, Grand Junction, Vail and other towns. With a constant commitment to customer service as a top priority, Always On Electric believes in putting customers first. Additionally, safety is another priority. Techs are trained on proper procedures for all electrical work they perform, abiding by industry standards. For more info, please call 970-309-2616 or email alwaysonelectric@hotmail.com. Home maintenance projects can be expensive, and it is often tempting to attempt a repair on your own. After all, many times a DIY repair will not only save money, but may also be satisfying. Electrical work is one area of home repair where you may want to reconsider doing it yourself. These are a few reasons why you should not try to do electrical work on your own. The risk of fire from faulty wiring or improperly installed electrical components is very real. Electrical fires are also frequently devastating as they may start inside a wall at night and be fully involved before a homeowner notices. A small mistake, like a loose wire or an overloaded circuit, may lead to a dangerous electrical fire. Electric shock is another serious risk of working with electricity. 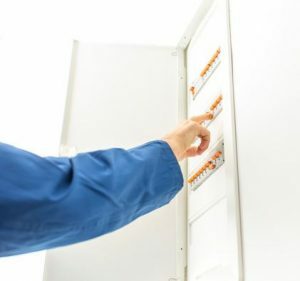 Professional electricians have years of experience and training, as well as specialized tools that help them stay safe while performing electrical work in your home. 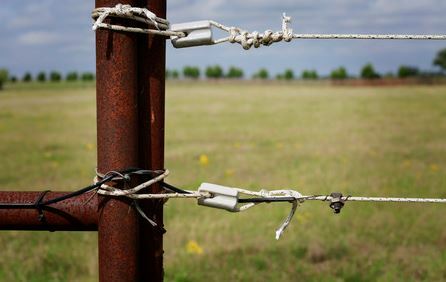 It only takes one small mistake or one second of inattention to receive a dangerous electric shock. The risk of electric shock makes DIY electrical repairs a bad idea. 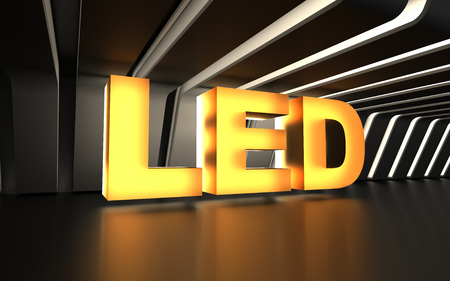 All electrical work must be done in accordance with applicable building codes. Trying to fully understand the electrical codes takes considerable effort and time. Electrical work also may require an inspection. Performing electrical work by yourself may result in work that does not meet building code and is not inspected. This may become an issue when you attempt to sell the home. Always On Electric has you covered whether you need residential or commercial electrical work performed. We work on all types of buildings throughout the western Colorado region. Our electricians are fully trained and experienced, and we are licensed, insured, and bonded. 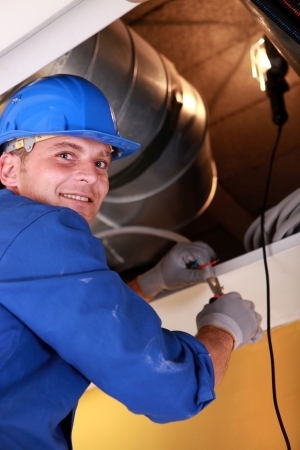 You can have full confidence in electrical work that we perform on your home or business. Contact us today at 970-309-2616 to learn more about our services or to request a quote.